"On Tuesday morning, January 22, I read a David Brooks column about a confrontation that happened on the National Mall during the March for Life. Until I read that column I had heard nothing about this incident because I do not have a Facebook account, have deleted my Twitter account, don’t watch TV news, and read the news about once a week. If all goes well, I won’t hear anything more about the story. I recommend this set of practices to you all." My first thought is to agree with this but that's followed hard upon by the notion that Jacobs and I have our heads in the sand. It can be some of both I think. There may be benefits to having my head in the sand when it comes to the news which often has the appearance of and is as insubstantial as gossip. Like Jacobs I also wrote about that confrontation on the National Mall and have since avoided all news of it. My brother brought up a couple points about it but that has been the sum total of my reading, listening, or viewing of the event since the morning after it happened. I liked what my brother said about it being the perfect news story for our times because absolutely no one, not even the participants, can say for sure what happened and there is nothing we can believe about it other than the assumptions we brought to it. My experience with difficult students colored how I saw and reacted to the situation. The story wasn't about anything that happened far away. It was all about what I feel is happening near and to me. Look at me with my head in the sand. Alan Jacobs is there with me somewhere. Neither of us deny the crises of the moment, the evils perpetrated by too many in power, the problems plaguing our world, but rather than focus on the minutia of whatever just happened I want to consider a longer view if for no other reason than I have felt how easy it is to be manipulated by this Republican administration that distracts from their intentions with antics and ridiculous rhetoric. We don’t yet, however, live in The Long Now. Our empathy doesn’t extend far forward in time. We need now to start thinking of our great-grandchildren, and their great-grandchildren, as other fellow-humans who are going to live in a real world which we are incessantly, though only semi-consciously, building. But can we accept that our actions and decisions have distant consequences, and yet still dare do anything? My question for Eno: Is it possible to think constructively and empathetically about our great-grandchildren, and their great-children, without also thinking constructively and empathetically about our great-grandparents, and their great-grandparents? I suspect it is not possible — that without understanding our past we will be unable to wisely direct the future — and that’s one reason why I’m writing the book I’m writing. I like the idea of considering this moment in terms of the far future and distant past. I like imagining my great-grandchildren and great-grandparents neither of whom exist in the world in this moment. I never met my great-grandparents and don't even have grandchildren yet. Holding these people in mind is a challenging act of thinking, imagining, and empathizing. It requires I thoughtfully consider my place in a very large world one that not only extends around the circumference of the Earth but reaches far back and forward in time. It affects how I feel about even mundane things like shopping. Friends wonder why I link to Indiebound.org books when I would likely make more sales through Amazon. I avoid Amazon because when I consider the times of my great-grandparents and the lives of my great-grandchildren I'm disturbed by the ideas Amazon represents. I don't want to get on a soapbox (not today anyway) about Amazon but thinking long-term has me shopping elsewhere (or not shopping at all). I've long been a person unwilling to delay gratification and so everything Amazon does satisfies those desires. Resistance isn't easy but neither is it futile. I've recently made a big decision about my future. I considered how I was feeling in the present, what my past has indicated, and what I want from my future. The decision has been made difficult for years because of everyday distractions some of which are important (paying bills, providing the family with healthcare, saving for retirement). Being in the moment when I'm holding the bill or looking at our checking account balance, I haven't been able to think past those immediate emergencies and have pushed the decision to a time when I'm not distracted, a quieter time. That quiet time has yet to come but I've been brought to thinking back on the example of my father and forward to the examples I want to set for my children. I have been confronted by my long-term desire. It's not enough to be concerned with whatever happened ten minutes ago on Instagram, in The New York Times, or along the National Mall. There are larger issues to address and on which to focus especially in the locus of our individual lives. 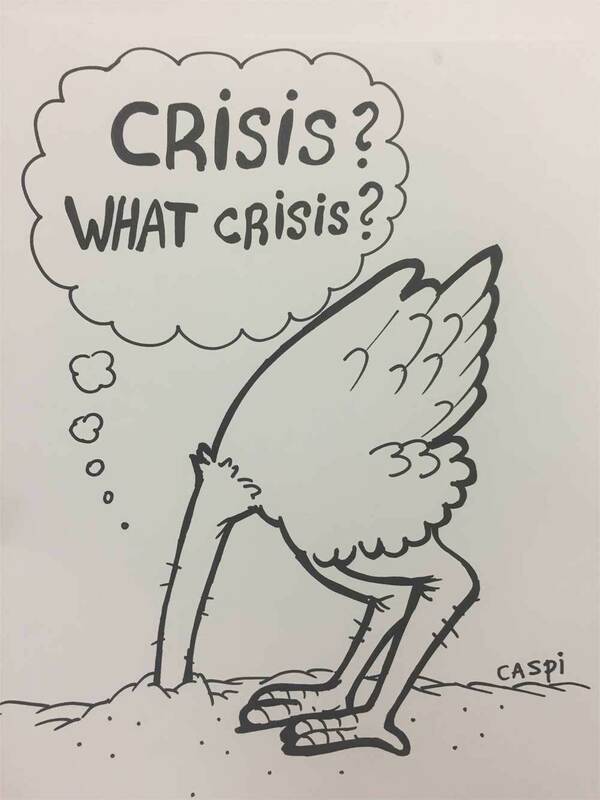 There is no shortage of crises. Even with my head in this sand I can still see and feel that. The crisis on which I'm most focused at the moment has little to do with the morning news or anything on Twitter. It stretches from a much more distant place and out into the great unknown. Instead of the news I'm listening to jazz on vinyl from 63 years ago. It sounds good and clear. No sand in my ears. Maybe I don't have my head in the sand so much as I'm lying somewhere on a beach looking up into the infinite sky and listening to the waves which have pounded that sand seemingly since time began.